It’s been a while since I’ve done a post about jazz treatment of pop songs. I hope this will prove worth the wait – it’s possibly my favorite one yet. 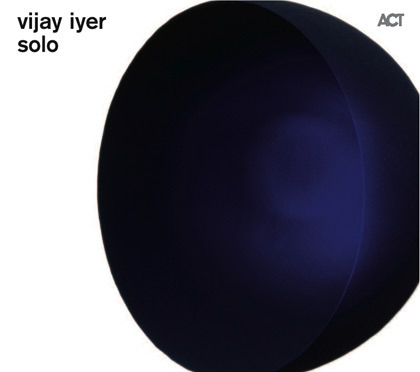 As ever, Iyer draws from a wide musical palette in his song selections. About half the tunes are his own compositions – thoroughly satisfying, richly crafted affairs that reward close listening. Then there’s a Monk piece, a couple of Ellington tunes, and a standard. Oh, and a Michael Jackson number. Really. “Human Nature” was one of the slightly less humungous tracks on Thriller. I hadn’t heard it for a while when I popped Iyer’s CD into my stereo. The pianist pulls off a brilliant trick – the tune is immediately recognizable, and yet a wholly different beast. Listen how, before the melody begins, he take one of the song’s minor motifs and polishes it to a beautiful, burnished perfection. Iyer plays the tune itself pretty straight (for a jazz musician.) He thoughtfully shifts the pulse of the music, but never wholly unshackles himself from the melody. This creates a delicious tension – I am always waiting for him to take flight, and it never quite happens. That’s not to say that this version is bland in the slightest. I like the dark-hued tonality that dominates the middle part of the tune – hear his left hand rumble towards the bottom of the instrument’s register. Do yourself a favor, and have a listen. It’s wonderful. Oh, and leave a comment and let me know what you think. Is this your kind of thing? Yeah, I’m not with you on the cover art, but the *cover* is gorgeous. As someone who prefers vocals, the part that’s “Why, why? Tell ’em that it’s human nature,” is just as amazing on piano. That’s how you know something is a good lick.